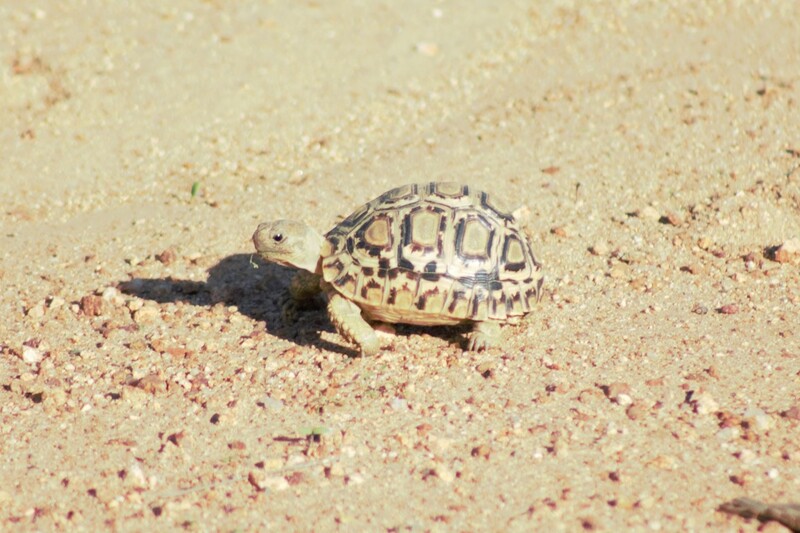 The first rains of the season have fallen and the Leopard Tortoises are back again! This small one was crossing the road in a little open area, slowly making his way towards the dam. He was only about 7cm in length which means he is only a few years old. You can actually tell the age of a tortoise by counting the number of ridges (rings) on his scute. 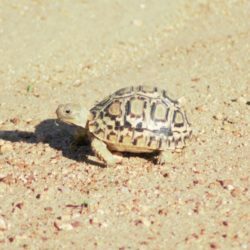 A scute is one of those “shields” that make up the shell and give a tortoise it’s unique look. Similar to a tree, these scutes have rings and this is because in winter the tortoise’s metabolism slows down while in summer it speeds up, with the result that the shell is formed at different speeds. These rings then provide an accurate method to age a tortoise.